Hong Kong-floated mobile games developer Animoca Brands has snapped up former Rovio EVP of games Wilhelm Taht as a strategic advisor. Taht has worked in the mobile games industry since 2004 in roles overseeing sales, marketing, product and general management. Before its IPO, he was Angry Birds developer Rovio’s executive vice president of games business from 2016 to 2018. Taht left his position with immediate effect earlier this year citing “personal reasons”. The wider changes at Rovio at this time came after a profit warning to investors. “We welcome Wilhelm’s considerable market expertise,” said Animoca Brands director Yat Siu. 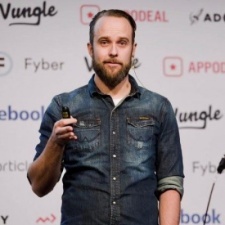 Taht is also a member of the board of directors of Finnish mobile games developers Nitro Games and Dodreams. On top of that, he is also a management advisor for Finnish games developer Remedy Entertainment known for developing games with the Max Payne, Alan Wake and Quantum Break IPs.